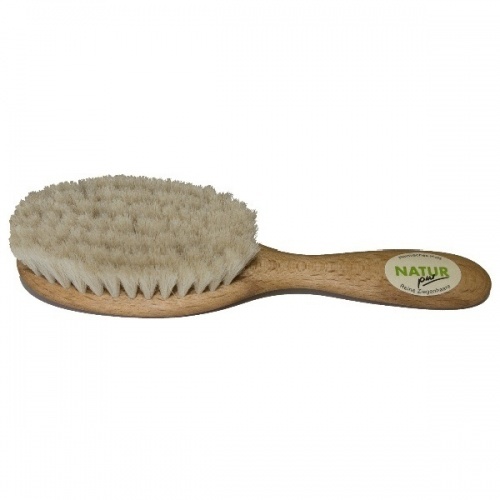 Natur Pur baby hairbrushes are made from the finest natural goats bristles to give your baby the softest touch and the silkiest hair from Day 1. Ideal for cradle cap and for brushing fine baby hair. Gives a great shine! Wonderful first soft brush for 12 month old baby. Leaves a nice sheen on hair and baby is happy to have hair brushed as its lovely and soft. Our baby is not born yet (31 weeks pregnant) but I'm sure he/she will love being brushed with this brush, as it's so extremely soft! Good size too, and natural materials which we prefer over all the plastic stuff you get these days..
Beautiful soft hairbrush, lovely quality, arrived really quickly - thanks! Delivery was as stated. Product perfect for baby. Thank you. This brush is just perfect for my little boy's scalp. I was reluctant to use a brush as my boy's scalp is very dry, flaky and looks quite sensitive. This brush is so soft and gentle. It works great after a bath when the baby's scalp is soft. 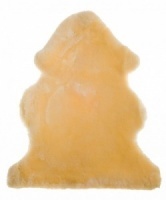 It removes excess dry skin from the scalp without being too harsh on it. It was definitely worth the purchase. Lovely product, soft and nicely finished plus great customer service.